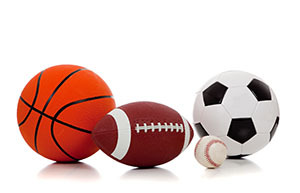 Apologetics Press - What Good are Sports? Is it wrong for people to hunt animals for sport? Sports and athletic games have been around for thousands of years. The Olympic games go all the way back to 700 B.C. Many Christians today participate in sports and athletic events. The Bible often refers to sports, and it sometimes talks about Christian living with illustrations from wrestling, foot races, and other athletic events. Since this is the case, it would be good to ask ourselves what things are good about sports. How can sports and athletic activities be helpful to a Christian? The truth is, sports and athletic training teach us many things that can help us build strong Christian characters. First, many team sports can teach us about teamwork and looking out for the needs of others. For instance, in basketball, no one likes a person who is a ball hog. Ball hogs want the ball, want to shoot the ball all the time, and rarely pass it to their teammates. Not only do ball hogs frustrate their teammates, most of the time they cause their teams to lose. When we look to the Bible, we can see that being a ball hog shows selfishness and is something to avoid. Philippians 2:4 tells us that we should look out for other people’s interests as well as our own. As we grow, we can learn to be unselfish by being a part of team sports and learning not to be ball hogs. We can learn to look out for the interest of our teammates. This lesson can greatly help us to build the personality trait of selflessly working together with others. Athletics can also help us learn to take care of our bodies. In 1 Corinthians 6:19-20 we read: “Or do you not know that your body is the temple of the Holy Spirit who is in you, whom you have from God, and you are not your own? For you were bought at a price; therefore glorify God in your body and in your spirit which are God’s.” God gave you a body, and He wants you to take care of it. By participating in sports like soccer, track, and many others, we can keep our bodies healthy and strong. When we play sports, we can have fun, while at the same time keeping our bodies fit. In addition, scientific studies have shown that physical exercise helps our minds to stay sharp and work properly. The exercise habits we can learn playing sports help us throughout our lives to stay physically healthy and strong. We must remember, however, that although physical exercise is profitable for some things (1 Timothy 4:8), we must never let it crowd out more important things like studying the Bible, praying, and teaching others about Jesus. Another thing sports can help us do is learn to control our tempers. Most people do not like to lose. But no one ever wins every single game. When we lose a game, it is tempting to get angry, yell at the referee, or blame our teammates. When we look to the Bible, however, we learn that God does not want His children to get angry over trivial things like winning or losing a game. James 1:19-20 says: “Therefore, my beloved brethren, let every man be swift to hear, slow to speak, slow to wrath; for the wrath of man does not produce the righteousness of God.” Sporting events help us learn to control our tempers. For instance, if basketball players lose their tempers and yell at a referee, then the referee will often call a technical foul on them. Sometimes the referee will even throw them out of the game. The rules of the game give the referee the authority to penalize players who do not control their tempers. This system teaches players to control their anger and learn to accept things they do not like. There are many other valuable lessons that sports and athletic training can teach us, such as self-discipline and persistence. We can see that playing sports can be a valuable part of the life of a Christian. We must remember, however, that sports should never be given more attention than God, His church, and His will. We must not allow our enjoyment of sports to get in the way of doing God’s will. We must always seek first God’s Kingdom and His righteousness (Matthew 6:33), and have the wisdom to see how sports can help us be stronger Christians.